What is the purpose of a brand? This is a question I’ve been asking to a handful of thought leaders. 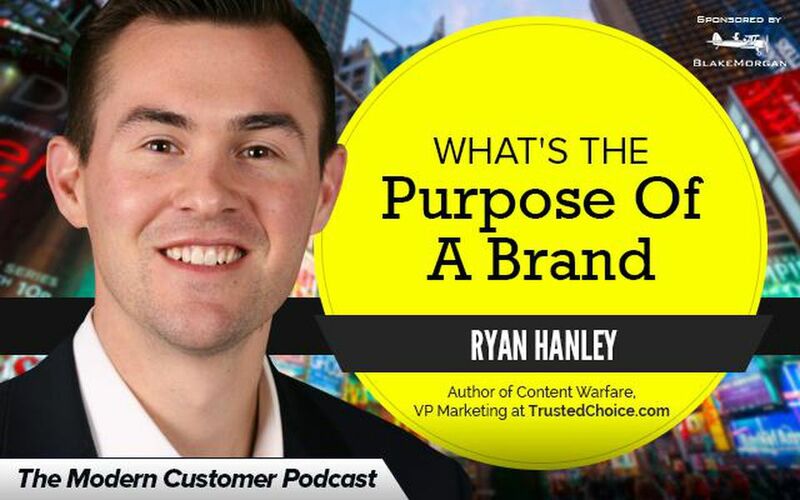 Ryan Hanley–the VP of Marketing at TrustedChoice.com, speaker, podcaster and author of the Amazon bestseller Content Warfare–was someone I discovered through his show on Periscope, where he took it upon himself to dissect an article I had written on the purpose of a brand. The purpose of business–according to Peter Drucker one of the most popular management gurus of the 20th century–is to create a customer. But what about the purpose of a brand? How does this popular management quote apply to business today?